This is a newer neighborhood in the Hawaii Kai area. Homes in Kamilo Nui were constructed in the years 2003 and 2004. These properties are luxury homes with interior areas ranging from 2,190 square feet up to 3,080 square feet. Lot sizes are generous, from 7,700 square feet to 14,000 square feet. From Honolulu, take the H-1 freeway eastbound and continue as it merges onto Kalanianaole Highway (72). Turn left at Hawaii Kai Drive and continue past the U.S. Post Office. Watch for Paila Street on the left and turn there. Make a right on Kuekue Street and you are entering Kamilo Nui. From Kailua and Waimanalo, drive east on Kalanianaole Highway. The road travels along East Oahu. Continue driving past Hanauma Bay. Reach the intersection of Kalanianaole Highway and Hawaii Kai Drive and turn right. This area was originally agricultural farmland. 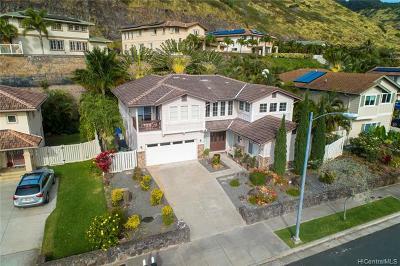 Schuler homes (which later became DR Horton Schuler Homes) built single family homes in Kamilo Nui which were completed in 2003-2004. 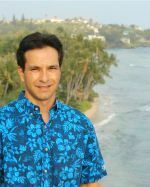 Developer Stanford Carr had plans to add approximately 200 homes to Kamilo Nui around 2004. The Hawaii Kai community had seen a lot of development in recent years and pushed to stop the project. The project appears to have been put on hold indefinitely. 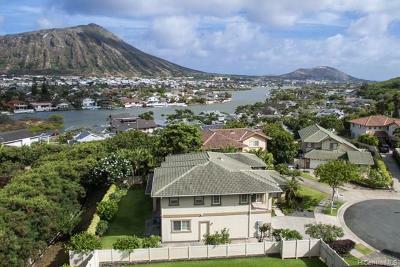 Long-time Hawaii Kai residents appreciate the serenity and greenery of Kamilo Nui along with its agricultural heritage.